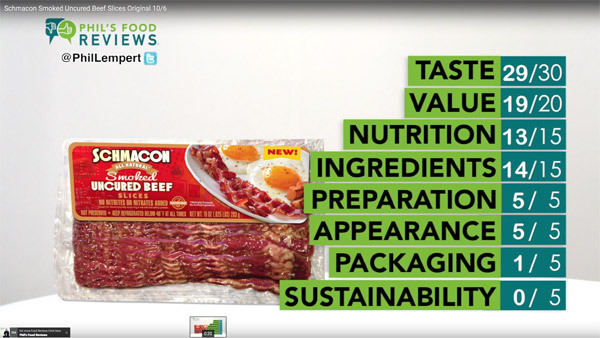 Beef’s Bold, Hearty Answer to Bacon –With Less Fat, Calories and Sodium– officially launched to the foodservice industry at the 2014 National Restaurant Association Show. More stores to find Schmacon Goodness! Is This the Future of Bacon? And here are even more accolades! This Man Wants to Change the World . . .
Schmacon Could Be the First Bacon Alternative . 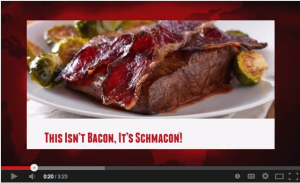 . .
Would You Try Schmacon, An All-Beef Bacon? 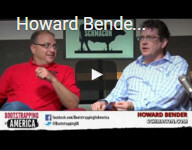 Beef groups work with chef to create new product . . . Improving Perfection: ‘Schmacon’ Is Bacon Made . . .
Schmacon offers a healthier beef alternative . . .
Food fun stuff: Doughnuts, Schmacon and . . .
Schmacon, Not To Be Mistaken for Bacon! Schmacon: Beef’s Answer to Bacon! Review & Giveaway! Schmacon Smoked and Cured Beef Slices Giveaway . . . Introducing Schmacon™ Now Available Through . . .
Look What Was Cooking Up At This Year’s NRA . 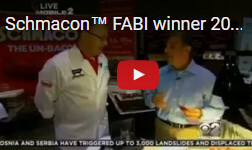 . .
National Restaurant Show dazzles Chicago . . .
Pork-free bacon, eggless mayo and vegan cheesecake . . .
National Restaurant Show brings food frenzy . . .
Schmacon™ is the new bacon. We’re serious guys. Schmaltz Products Launches Schmacon™ . . .
Schmaltz Retail Products LLC introduces Schmacon™ . 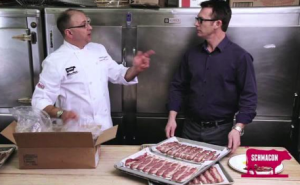 . .
Is Beef Bacon the New Bacon?